Over the years, I’ve done a lot of audio work between podcasts, screencasts, and webcasts. So I know a thing or two about computer audio. I don’t claim to be an expert like my friends Carl Franklin or Richard Campbell, but I’ve done enough to be able to offer some helpful tips. We’re going to start with the hardware. The quality of your computer audio can only be as good as the raw captured product. Use a bad microphone and no amount of software cleanup is going to magically produce good audio. You might be wondering how much difference the hardware can make? I’ve recorded the same audio track using four (4) different microphones on the same computer. (I didn’t record them simultaneously as multi-track recording is notoriously difficult, but I did say the same phrase into each microphone on after the other.) Let’s start with the LifeChat ZX-6000. My voice sounds like I’m on a telephone. The sound is hollow and lacks depth. 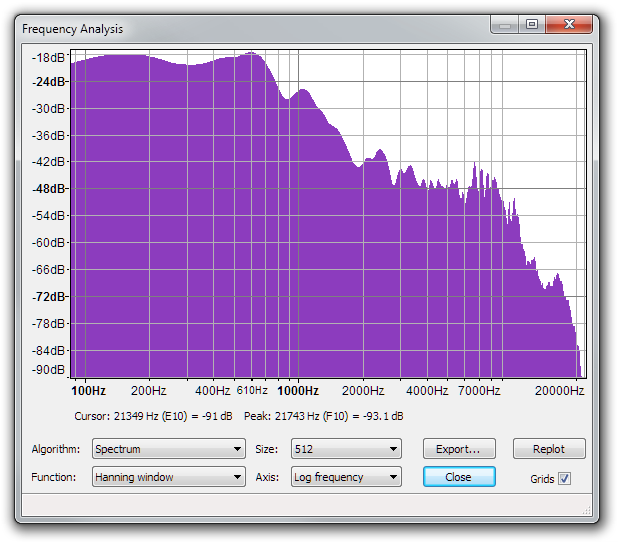 If we plot a frequency analysis using Audacity, we can easily see the problems. OK, maybe not easily if you’re not familiar with audio. Let me explain some basic ideas and then you should be able to see the problems. 16 to 32 1st The human threshold of feeling, and the lowest pedal notes of a pipe organ. 512 to 2048 6th to 7th Defines human speech intelligibility, gives a horn-like or tinny quality to sound. 2048 to 8192 8th to 9th Gives presence to speech, where labial and fricative sounds lie. Note how 2048 to 8192 Hz gives a presence to speech, whereas 8192 to 16384 give a brilliance. Without these frequencies present, speech will sound hollow. With this in mind, let’s take another look at the frequency spectrum from the LifeChat ZX-6000. We see virtually no frequencies above 4000 Hz, which is making my voice sound hollow. Old analog telephones transmitted 200 Hz to 3000 Hz, which is why it sounds like I’m talking on an old phone. You’ll also note that the lower frequencies (below 400 Hz) are attenuated (e.g. not as pronounced), which is why the sound is lacking some of the bass timbre of my voice. 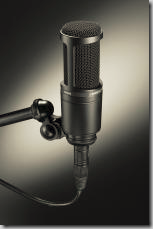 Let’s try a different microphone and see how it performs… Next up the LifeChat LX-3000. The audio quality is vastly improved. Let’s take a look at the frequency spectrum. You can visibly see the difference. We have frequency response all the way up to 20 kHz with the majority of the response in the lower frequencies, which is expected due to the timbre of my voice. The lower frequencies are also not as attenuated. The quality of the sound is much warmer and vibrant with the LX-3000 than the ZX-6000. As our last point of comparison, let’s listen to a semi-pro microphone – the one I use for my recording work – the audio-technica AT2020. The differences are subtler this time, but still noticeable. The audio has more depth and presence than with the LX-3000. Let’s take a look at the frequency spectrum. 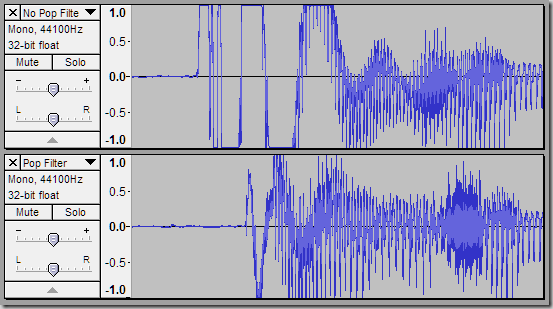 Notice the better bass response below 400 Hz giving a truer rendering of my low voice. 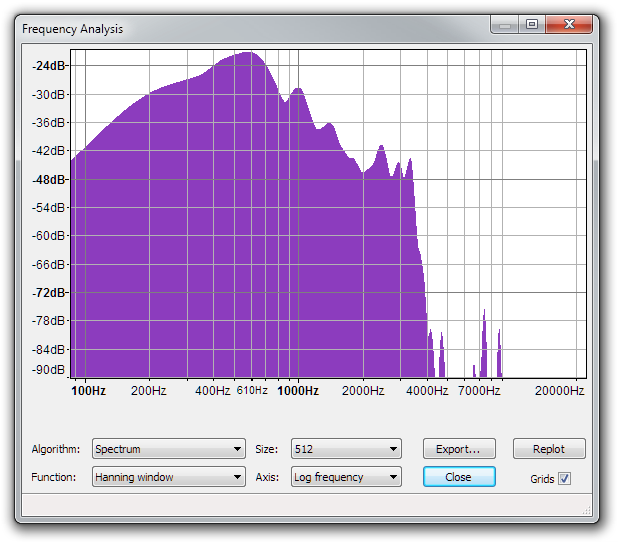 We also have better harmonics in the 10 to 20 kHz range, providing a more life-like sound. We can also take a look at the frequency response of the microphone, which can be found on the manufacturer’s website here. 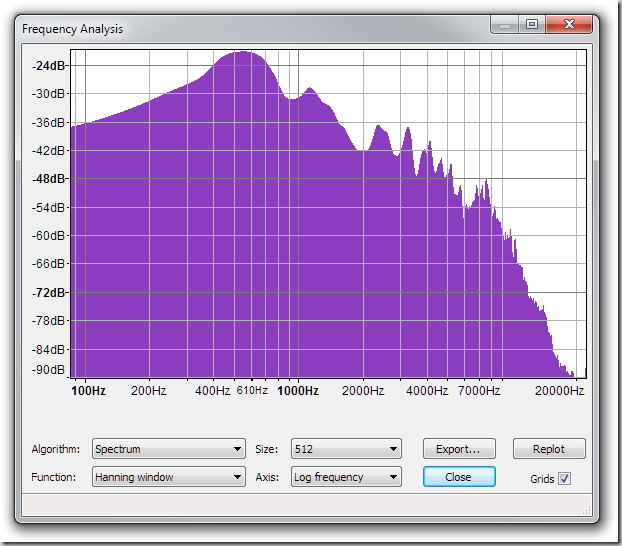 Note the flat response curve across the entire range of frequencies. This means that the microphone records all frequencies with equal efficiency, which results in little distortion of the raw sound. For comparison, I would expect the response curve for the ZX-6000 to drop to virtually zero above 4 kHz and show attenuation below 400 Hz. You want a flat response curve for your microphone as it will not colour or distort the recorded audio. I should note that both the LifeChat LX-3000 and ZX-6000 have hardware noise cancellation. (Noise cancellation will remove an annoying background hum originating from fans, pumps, and other sources of low background noise. It can’t do anything to clean up dogs barking, children screaming, or other sudden noises that disrupt your recording sessions.) Applying software noise cancellation on either of these microphones has little additional benefit. 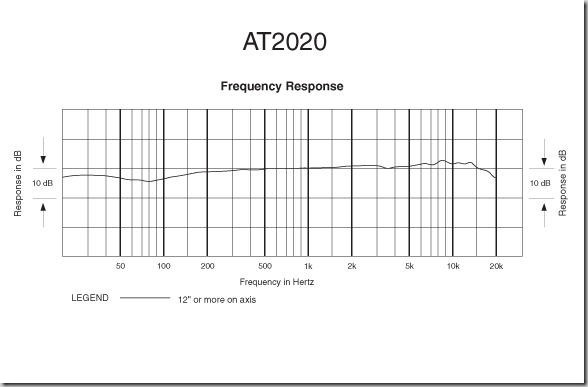 The audio-technica AT2020 does not have hardware noise cancellation and benefits from applying software noise cancellation. Assuming you are working in a quiet environment the audio quality of the AT2020 without noise cancellation is still better than the LX-3000 and far superior with noise cancellation. Software noise cancellation usually involves little more than selecting a checkbox in programs like TechSmith Camtasia Studio or similar recording packages. You can perform noise removal using Audacity too, though it’s a bit more work as you have to manually select a quiet region with just the background noise that you want to subtract. 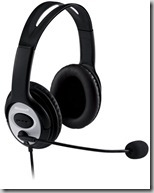 The LX-3000 is a great microphone for conference calls and gaming. It is a good, though not great, microphone for recording podcasts/screencasts/webcasts. It is inexpensive ($30 to $50), easy to use, and can be bought at most computer stores. If you’re just getting started, this is a good microphone to buy. If you’re looking to take your audio to the next level, the audio-technica AT2020 is a great semi-pro microphone that you can pick up at reasonable cost. You’ll have to go to an audio specialty store as you won’t find these in your regular computer stores. I purchased mine at Long & McQuade, which is a chain of well-respected Canadian musical instrument stores. Now what is a reasonable cost? You’ll need more than just a microphone. You’ll also need a pre-amp to power the microphone as semi-pro and pro microphones don’t have high enough output to jack directly into your computer microphone port. You’ll need a pop filter (which prevents “p” and “t” sounds from making “popping” sounds in your audio), a mic stand, an XLR cable for mic to preamp, and a 1/4” to 1/4” male cable for preamp to computer (or 1/4” to 1/8” male if you are using a normal mic-in on your computer). You can get the same microphone (AT2020) with a USB option, but at a higher cost of $170, which is basically the cost of the preamp and cables. The TubeMP preamp has an actual vacuum tube that gives a warmth to the sound that is hard to achieve otherwise. Given the similar costs, I would personally err on the side of using a tube preamp over USB. You might want to invest in a decent sound card, such as a Creative Labs X-Fi Platinum or similar card, which has better audio recording qualities than the audio-in that comes on your motherboard. It’s hard to find the X-Fi cards anymore. So you’ll have to look around to find a good quality audio card, but expect to spend $100 to $200 on the audio card alone. 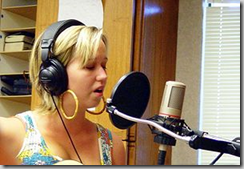 Remember your audio is going to be no better than the weakest link in the chain. Is $229 of the audio-technica AT2020 worth the improved audio over the $30 to $50 LifeChat LX-3000? That’s up to you to decide. UPDATE: Benjamin Chau noticed that SIDs weren’t being regenerated. Turns out that you need to check the Generalize checkbox to make that happen.